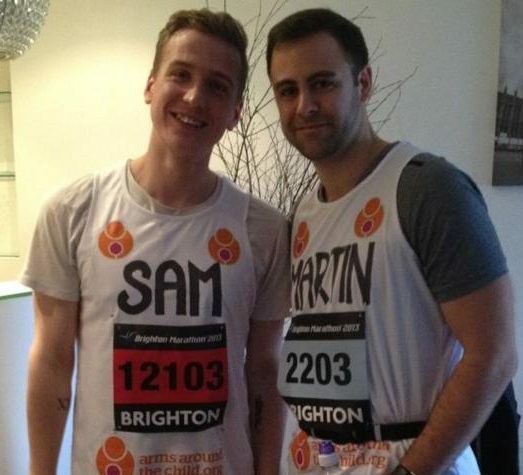 In 2013, whilst running the Brighton Marathon, Sam Harper Brighouse, who was fundraising for the charity Arms Around the Child, sadly passed away in what can only be described as a combination of awful factors. However, five years on from the tragic incident, Jordanna is running the Brighton Marathon this year in memory of Sam. Here, with only a few weeks to go until Jordanna runs the marathon in memory of her friend, we speak to her to find out how she’s getting on with her challenge and fundraising efforts. 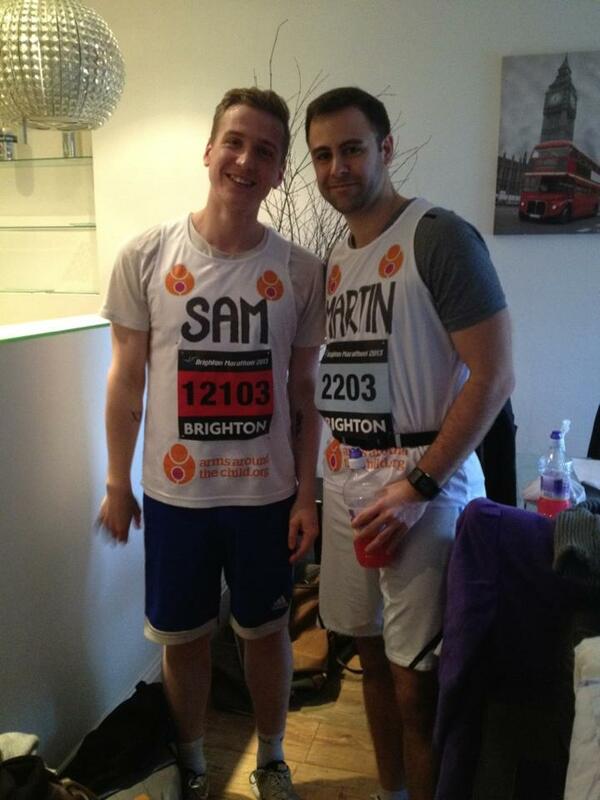 What motivated you to sign up for the Brighton Marathon and run it for Arms Around the Child, in memory of Sam? I signed up quite late as I’d been thinking about it for ages and if I had the guts to do it or not. However, one day in December when I working in Kensington at a hairdresser, I was talking to a client who was running the marathon and goes to my local gym, and I was like if he can do it, I can do it too! I knew then as well I’d have someone to train with. So I decided to email Ellie [the CEO of Arms Around the Child], but to be honest I thought as I’d left it so late, it would probably be a ‘no’. But then it turned out to be a ‘yes’ and I was like that’s the decision made then! They kindly gave me a place and allowed me to honour Sam’s memory and retrace his last steps, completing the Brighton Marathon for him. How is the training going, as this is your very first marathon? So I started at the beginning of January, which has meant I’ve had to train slightly harder to be at the point I needed to be. I ran the Brighton Half Marathon a few weekends ago with Jack, who participated in the Brighton Marathon with Sam in 2013. We did this, and a bit more – up to mile 18 of the full Brighton Marathon course. He showed me the course, where the hills are, what to watch out for etc. On the day, Jack is going to meet me at mile 18 and run the final stretch with me in honour of Sam. I’m going to train up to the big mile 18 I think, and I’m at mile 16 at the moment, so it’s going well. On the day, I know he [Sam] can carry me through those final miles, and I’ll have Jack with me also. It will be emotional, but it will be good to bring everyone together on the day, both at the race and when we meet up afterwards. How is the fundraising going? It’s going well. I’ve had a really good response and there still people to ask and people who said they are going to donate. I can still be a bit more forward with it too – as we approach the date, I’ll be posting a bit more as I really want to smash the fundraising target! So far, I’ve mainly been relying on friends and family, but I might also do some small events too as we’ve got quite a community here in Kensington. Could you tell us about the music festival event held to remember Sam in 2014? When he passed away, we all came together and went through his stuff at his house and found lots of music blogs and reviews – he used to love different genres of music. He wrote about the music and what it can do for you. For example, the different feelings you can get from it. So to celebrate his life, we put on a huge music festival. We mainly just invited friends and family, but the numbers just grew and grew. 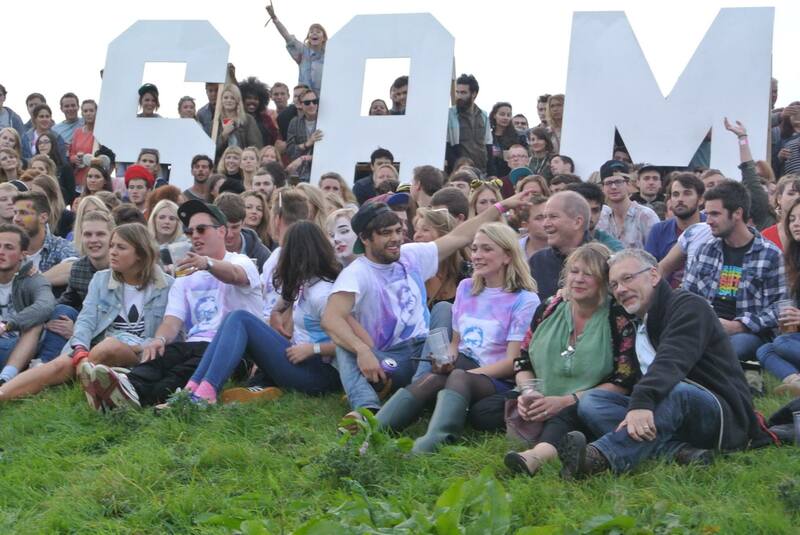 We ended up hiring a campsite in Somerset with loads of acts, bands and DJs who volunteered to participate. Eventually, the event sold 500 tickets and was named ‘Sharper Sounds Festival’ in September 2014. On the last night, to top the festival off, we released 500 balloons in Sam’s memory which was a special moment. At the funeral, we did this, and the balloons ended up getting stuck on top of the church – we just thought that’s ‘classic Sam’ that would happen, which was a really nice moment in itself, so we thought we’d do the same again at the festival. On both occasions, it was such an amazing moment to release the balloons, especially as the whole of Sam’s family was there. It was really, really nice. What do you have planned for mile 17 of the marathon? Sadly, as this is where Sam passed away, we’re going to do something special at this point of the course. At this mile, all Sam’s friends and family will be there, so we’re going to release some balloons there. Jack is also going to join me at this point, and run the final few miles with me. Finally, how are you feeling about the big day now with only a few weeks to go? It’s very nerve-racking. If there’s one day I’d like his presence around me, it will be then. I feel bad for the family in some ways as it will bring all the memories back as they’re coming to watch me. However, there’s a lot of nice things going on at the moment around his memory as it’s the five year anniversary. For example, his sister Grace is a documentary maker and recently finished a video celebrating his life and explaining the tragedy of his death for her graduate showcase. She showed it a few weeks ago, with footage from the day where Sam ran, which was showed publicly in the picture house in Soho. It’s a beautiful video. With all this going on at the moment, I think it’s a big boost for the family and Sam’s memory, and will certainly be a big help for running the event in his memory. If you would like to contribute to Jordanna’s efforts in completing the Brighton Marathon and her fundraising in honour of her good friend Sam, you can do so here via her fundraising page.  © Copyright 2018 Arms Around The Child. All rights reserved.